As a Raj Soin College of Business graduate, you can tap into a valuable network of over 17,000 alumni who are influential business leaders in the region and around the globe. 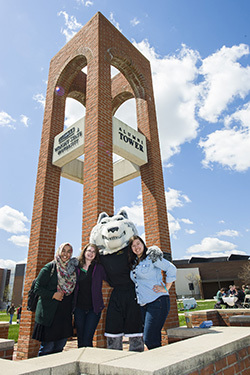 Experience the many benefits of Wright State University's Alumni Association including discounts on merchandise, alumni events, travel and other services. A growing number of out-of-state chapters and affiliated groups can also expand your career horizons and enhance your social network. Or you can find out how to start a Wright State University alumni chapter in your city. Don't forget, as a graduate, you can also take advantage of Wright State's Career Center at no charge for a life time. The Career Center can customize the assistance you need, whether you are making a career change yourself or recruiting top notch talent for your firm.